memoirs "My Friend Petr Shelokhonov"
Petr was my most close friend. And we connected as if we’ve known each other forever. Not just like actors – like brothers. Petr was born in 1929, and I in 1930. We knew everything about each other, and enjoyed absolute trust. We shared a special sense of humor and ability to understand everything, even the most risque jokes. I know that people like Petr Shelokhonov would never betray. With him, I was perfectly frank and confident - everything stayed between the two of us. He was a man’s man. Super talented. Unquestionably. Oh, how many good performances he delivered. At first I saw Petr on stage in the play “Two winters and three summers” at Lenkom Theatre company, and I told them: “What a brilliant actor!” Then we met, and remained inseparable forever. While touring, we lived in one room like brothers. Later upon receiving the status of Honorable actors, each of us was treated to a hotel suite on tour, and always next door to each other. Petr Shelokhonov, thanks to his special personality, his talent of communication and good relationships with people, was elected chairman of the local actors union, while I represented the party. Together we did our social duties and creative work for stage, film, and television. Our mutual memory is so rewarding, so nice, with so special details – it’s unforgettable. We had so much in common. We both lost our parents early. I lived with my grandmother, and Petr grew up streetwise. During WW2 Shelokhonov survived the Nazi occupation. In 1941, a boy of 11, he witnessed how Nazi tanks destroyed homes, schools and farms in his native Belarus. Everything was burnt down. He lived in haystacks and was hiding in the woods. Once the Nazi police arrested him, but he ran away under fire. Petr was wounded in his forehead but he survived and joined the partisans in the woods for three years. After the war we both served in the Navy. So we understood each other very well since our first meeting; just looked at each other, and became brothers. We also were partners on stage. In the show “Death of Ivan the Terrible” by A. Tolstoy, Petr Shelokhonov appeared as Prince Nikita Romanovich Zakharin-Yuriev, and I played Vasili Shuisky. These characters are quite different in their moral values. Shuisky is a manipulative crook who is scheming in the court to get the power. Nikita Romanovich, the founder of the Romanov dynasty, is a noble prince who loved his nephew, Prince Fedor Ioannovich. His love counterweights the brutality of Ivan the Terrible. Actors Vladimir Osobik who played Prince Fedor and Petr Shelokhonov were highly respectful of each other in life. That’s why their stage performances were enhanced by their invisible union. I was on stage with them and was captivated seeing how Nikita Romanovich (Shelokhonov) strives to support Prince Fedor (Osobik), and the suffering Prince takes an example of human dignity from him, but not from his father, Ivan the Terrible. I was so carried away by Petr’s magnonymous performances, that I sometimes even forgot to play my part. Through the role of Zakharin-Yuriev Petr Shelokhonov expressed his views on society, on what was going on around us. We were not just usual types of dissidents, and we had to keep our thoughts to ourselves. In this very role Petr managed to express a lot. While I showed my protest through my dissent to the character of Shuisky; But Petr’s protest was presented with his special sense of pride, and his nobility was so apparent. The Tolstoy's play deals with philosophic problem of power and man, and our staging had all of this, too. But theory is one thing, and another thing is to deliver a stage performance so that the audiences can feel your creative freedom. Shelokhonov was very powerful in his role. Ivan the Terrible was a dictator, and Nikita Romanovich Zakharyin-Yuriev was a savior. Some historic parallels were revealed in our production directed by Ruben Agamirzian on stage of Komissarzhevskaya Theatre in Leningrad. What Ivan the Terrible did to people was later repeated during the Soviet regime. In spite of danger, Zakharyin-Yuriev was not afraid of speaking his mind and telling the truth to the Tsar, so that even Ivan the Terrible had to recognize the truth. This is courage, the precious quality of a man. Such people were also around Stalin; they would rather accept death, but refused to bend the truth, and delivered it at any cost. That’s how Shelokhonov played his role. That’s what makes art so powerful. Audiences could see the difference between being a slave of circumstances, and being yourself under enslaving circumstances and never give up - Shelokhonov had a good sense of this and felt this difference very well, and he delivered it to the audiences. He had all reasons to play the role his way. Petr went to acting school in Irkutsk, and was member of the Irkutsk Drama theatre in the 50s. Once on a tour in that city we were invited on a local TV show titled “Our guest actor Petr Shelokhonov.” He brought his friends, Efim Kamenetsky and me to the show. We spoke about our stage works in Leningrad. Describing Petr’s stage work in Tolstoy’s trilogy of the Tsars, we said: “Shelokhonov created a man of such a great dignity. His hero was so noble, so incorruptible, that no one could manipulate him, he did not yield to pressures and temptations of power; a man who did not need vanity, as he was above it. His life was that of a human intellect, the highest value in life. Later, Petr told me “You’ve got to the true grit of my performances.” Equally deep was Shelokhonov’s performances as Chekhov’s Ivanov, as Platonov in the play “Ocean”, as Sam in “Photofinish” by Peter Ustinov, and other roles. That’s how he performed as Hamlet. We toured all over the former Soviet Union. At that time we were not in position to make changes (to act to change the life around), but we helped people to think. Things were not always good in that life, so we found salvation in our creative work and in communication with each other and the likes. At that time the USSR was ruled by bans and censorship in absence of democracy, freedoms and essential human rights. Church was destroyed and theatres remained like islands of freedom and live communication where people could get some fresh air and escape from insolvable problems of Soviet reality. Our performances stimulated thousands of minds in the audiences. 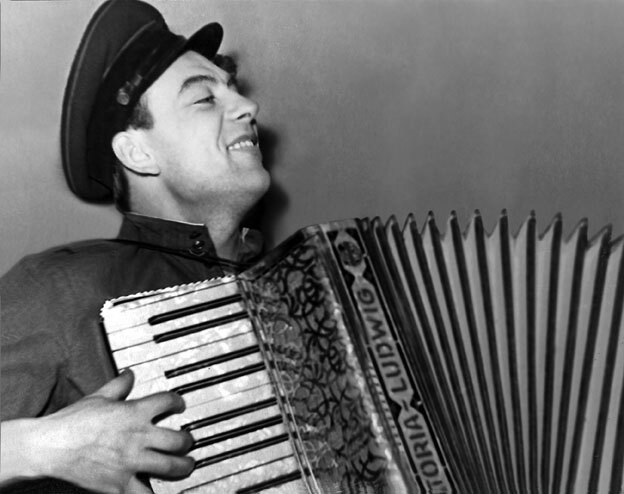 In the 70s, Shelokhonov created the leading role - Sudakov in “Woodgrouse’s Nest”, a play by Viktor Rozov. The honest and humorous show uncovered deceptive promises of prosperity under communism in the USSR. In that role Shelokhonov revealed the hypocrisy of a politician who lives a dual life striving to shield himself and his family from the problems of Soviet reality, where the government only pretended to pay, so the people pretended they worked. The show evoked a range of thoughts and allusions. It was filled with wisdom of Ecclesiastes and presented a parody of Soviet propaganda culminating with a sarcastic scene of emigrating to Bulgaria away from soviet life with its food rationing guised as false equality for the masses, and destructive nepotism among the communist elite, bribery and corruption from the top to the bottom of society. In the end of the show, Shelokhonov, with his inimitable irony, delivered the last line “And overall, we live very well!” but people were already clued in all the hints, so audiences exploded with applause. I admired his work in “That same Munchausen”, a comedy by Grigori Gorin. There was only one actor who grasped the very spirit of happiness and childish fantasy of the play. That actor was Petr Shelokhonov. He played Thomas, the Munchausen’s aid. I still remember how he appeared on stage with such a jumping move! It was unbelievable! He had such an extraordinary ease and physical plasticity. And he made even more improvisations at our rehearsals. Later, seeing the same name film by director Mark Zakharov, I again realized that Petr was the one who knew the essence of the play. He really mastered the genre and delivered all kinds of nuances, grotesque and pathetic ranges of human spirit. Shelokhonov's inimitable gift and effortless style has been a pleasure to watch on stage and on big screen. He was a gem in our company. On stage he moved with remarkable emotional and physical freedom. We anxiously anticipated his appearances, as he always made something new and fresh in each performance. Nothing seemed to be hard for him. His bold improvisations often carried the play by elevating our collective work to a new level, where we, his partners, joined him and improvised together. He could artfully alter his character into a surprisingly different and new identity, and then easily return to the familiar image, leaving his partners and audiences wondering "How did he do it?" And at the same time he was so reliable and accurate delivering his lines. He was The ARTIST, professional of the highest caliber. He always helped his partners right there on stage when he saw their needs. In the play “The Rainmaker” by N. Richard Nash, Petr noticed that actors were uneasy, so he softly said right there on stage: “You are playing Americans? Why?” And everything went right after that, our actors became natural, truthful. Their characters, faces, outfits, and stage movements became united as whole, and made an ensemble. After that, I played my part with ease and happiness, because Petr helped with his advice: “no need to pretend and act like an American.” He saw the big picture, he saw what everyone was doing, he knew what's right and wrong, and he helped all partners to play united for the benefit of the show. Only a masterful actor can do this: staying the course and watching after everybody and their performances. Shelokhonov could wake his partner on stage asking: “Who are you?” - without changing the pattern of performance. It was like a brake in the show and everyone felt a relief. He improvised, and the result was thus helping other actors to live on stage well beyond a mere repetition of there lines. Petr did this so naturally, so easy, that our audiences could not notice anything believing that’s how it should be. Petr's other memorable methods – he is delivering his part, but his eyes are showing “Attention!” to other actors; or he takes me by the hand and makes some light twist, a touch, a special move, and then everything goes easier in a relaxed and different way. He was able to re-start us on stage: “You work, you live!” He had an absolutely amazing intuition. He was natural on stage, loved his partners, helped them and took full responsibility for the mutual work. Petr helped me in the movies too. I was auditioning for the role as a Georgian man in the film “Wheel of Love” by director Ernest Yasan. I applied thick make-up, huge eyebrows and mustache, shaved my head and then walked through Lenfilm studios together with Yasan. Petr Shelokhonov approached us. The very moment I was about to say “Hi, Petr,” but to my surprise he said to Yasan : “At last, I see a real Georgian man!” I thought that he was playing with me, and decided to play back. But Shelokhonov went on: “Where are you from? What city?” he was standing next to me, but could not recognize me at all. I answered with an accent “I’m from Kutaisi.” He still did not recognize me! Then I said “Petr, are you still at Komissarzhevka?” He was stunned: “You? Ivan!” He helped me so much! The director was impressed. I gained full confidence and got the role. Now I knew how to play the role, thanks to the help from Petr. To outplay an actor is a very rare case. That was my lucky occasion. I remember many good things. Petr was generous, he gave away so many gifts. Once he got decorative boards for his dacha, very strong boards, smooth, glued on edges–special Swedish boards for interior decoration. I helped him to unload those boards. Then Petr told me “Make yourself a normal door for your palace” and gave me several of those boards: “Take!” That's how I got a beautiful door. It was so typical of him to share everything with ease and a smile. He was a very generous man. I appreciate this. Shelokhonov knew how to make people have fun, and we had so much fun that many of his jokes are still remember after years. In the 70s we had a celebration party at our theatre company. After official speeches, the crowd split into small groups and became quiet. Suddenly he exclaimed “Here is a telegram!” Everybody was surprised “Where from?” “From Cuba. Fidel Castro. Excited, looking forward to a meeting. Comandante.” Everyone laughed. Next came “telegrams” from Kremlin, from Washington, and even from the Bermuda Triangle. Petr did so many funny jokes. He was really a genuine people’s artist. Oh how nicely had Petr designed his birthday parties! He was born in August, so celebrations usually were during a summer tour. Petr was able to organize a celebration even in the times of food rationing amongst the Soviet gloom and restrictions. He managed to prepare a gourmet table, nicely decorated, and invited the entire company after the show. Petr was fond of fishing. Once he made a good catch and hired a restaurant chef who prepared a variety of special dishes. Petr invited us to this remarkable feast. At that time, there was a Soviet prohibition on alcohol. But, how can a Russian party be without alcohol? So, Petr managed to get the “forbidden fruit” and he teased all of us by making us search for the much desired prize because he was hiding it in very unusual places. We had so much fun being around him. His sense of humor was outstanding. Nobody ever saw him unhappy. I don’t remember him ever complaining of anything. Even his sneezing was humorous: “A-A-Ap-othecary!” We all laughed around him “Petr, why apothecary?” “So I feel good” he replied. Petr’s inventiveness was amazing. There were many unforgettable moments. I even borrowed some of his tricks. When Petr happened to forget a name, or a title, he laughed “I’ll write to you later,” and he had such a nice laughter. Once on a tour we stayed at the exclusive Hotel for Soviet Government Ministers, and there was a restaurant with “No smoking” sign on each table. We took a table, but waiters ignored us, because we sure did not look like Soviet Government Members. Petr gave me a wink saying “Let’s puff a smoke, so they’ll come” – and we both did. Immediately several waitresses flew to us – “No one smokes here!” “You are not telling the truth – we are smoking!” Petr laughed with such a charming smile, that all waiters were smitten and we were served promptly and nicely. Selfless, generous, devoted to friends, caring for his family – such was Petr Shelokhonov. He called his wife, Ludmila, “Ludmilaya” (the dearest). I must say that there are not many friends like him in theatre companies. If you are so compatible with a person, that means you are connected through most important things. Petr Shelokhonov epitomizes kindness and, of course, fairness, and his fairness was of the highest grade. He spoke his mind. But this was not welcomed. In the Soviet era you had to have a permission to tell the truth. Although we did not tell how bad things were, because we did not know everything. But when he saw some wrongdoings by authorities, he told them directly and demanded fairness. Many did not like that. Shelokhonov was punished for his honesty. Such fairness is typical of conscientious and honest people, such as Sakharov, Rostropovich, etc. According to Pushkin an honest person may stand up vocal and tough against lies and deception. When he saw someone being dishonest, or behaving badly, Petr would say “They allow themselves too much!” Sadly, the Soviet power had a long memory of a bad type: authorities allowed themselves anything, and people were unprotected Petr was too sincere and open, he spoke his mind, thus making enemies who had long memory. But Petr was free of grudges, he was above the evil, he was noble. He simply continued doing good things his way, honest and generous, and he remained incorruptible and clean. Petr Shelokhonov has been the main influence on my creative career. I compare him to Pavel Luspekaev. I began acting at BDT company and my first strong impression was from Pavel Luspekaev. He was a powerful personality, my early role model. After Luspekaev, Shelokhonov’s influence was the strongest. These people were unique. Theatre relies on such people. The theatre of Luspekaev, Kirill Lavrov, Petr Shelokhonov, young Andrei Krasko – this is genuine, this is real. Mutual influence of talents is like blood transfusion from one actor to another; this is one of the principal conditions that keeps theatre alive. This power is understood only by us, actors, thanks to this magic power we feel connected to each other, we can improvise on stage with full sense of partnership even without words, by using a gesture, or a move, or taking a partner by the hand, and instantly achieving the natural ease. These are things of such subtlety, that may work only from actor to actor, and only after you ate a bushel of salt together, then you have mutual understanding. Even a glance was enough for us to create freedom on stage and boost the entire show on another level. Critics sitting in the audiences do not write about this. Critics who never were on stage in the actor’s skin simply don’t know about many nuances and details. “Isabella” was the unforgettable production directed by Petr Shelokhonov and Kirill Laskari in 1993. The play is based on memoirs of the Jewish girl, Isabella, who survived the Auschwitz concentration camp during the Second World War. This was a new theme for theatre. The show had everything from love, singing and dancing to blood, tears and death. Of course, in that production Shelokhonov invested his soul and personal experience of his own survival under the Nazi occupation. He personally knew what Isabella went through in the concentration camp. And now they met in St. Petersburg at the premiere of the play. Isabella was stunned by the way Russian actors depicted her life story. Especially powerful was the final scene where Shelokhonov created a metaphor about this immortal feat: all prisoners who had been burnt in ovens fire now rose from ashes and in their slow and majestic march they came out of the firing ovens and walked through smoke from stage towards the audience, and while the music of Mosart’s Requiem was playing, the resurrected victims joined the viewers whose eyes were full of tears. People in the audiences were sobbing and greeting actors with applause. A creative person's goal in life is to develop a unique face. Shelokhonov's appealing looks tempted directors to cast him as a charmer, or as a people's hero, a simple and reliable man, as "one of us." And Petr had all that in his works. Albeit he also was a highly sophisticated intellectual and a complex man, whose experience and talent allowed him to play a range of over 150 characters on stage, in film, and on television. Sincere and honest man, he radiated peace and happiness in real life, making people feel comfortable around him. His openness and honor remained intact through the years of wars and peace, which he took with ennobling calm. I enjoyed seeing my best friend grow and mature, gaining recognition and with it also gaining unmistakable marks of years and wisdom on his face - inevitable signs of a long, hard, and honorable life. Only Petr’s eyes remained lively and youthful, revealing the pure harmony of his inner face. 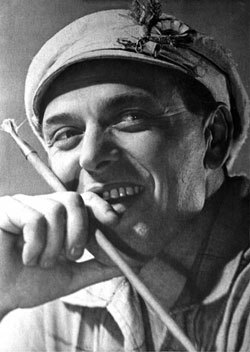 Petr Shelokhonov worked in several theatre companies in Leningrad–Saint Petersburg. He appeared in the leading roles in productions by such directors as Peter Ustinov, Ruben Agamirzyan, Igor Vladimirov. He always mentioned how simple and natural was to socialize with the famous people whom he knew. A greater person is a simpler man. Such was Petr Shelokhonov.